Glen McDonald, Consultant, has more than 20 years of diverse experience in residential and commercial real estate as a builder, developer, land acquisition/ disposition specialist, and sales/marketing executive. During his career, Mr. McDonald has purchased, entitled, built and managed the development of hundreds of residential units and numerous award-winning resort communities on behalf of various entities. His multi-faceted experience includes land acquisition/ disposition, financing, product design/development, site improvements, asset management, sales, marketing, homeowner association management and commercial leasing. Mr. McDonald is frequently interviewed and featured for both his expertise in the real estate industry and accelerated marketing. Mr. McDonald is a graduate of Drexel University in Philadelphia, Pa., with a bachelor's degree in engineering with a concentration in architecture. He is a licensed real estate salesperson in New Jersey and licensed auctioneer in North Carolina. In addition, he is a member of the Builders League of South Jersey (BLSJ), the New Jersey Builders Association (NJBA), the National Association of Home Builders (NAHB) and a Certified Commercial Investment Member (CCIM) candidate. Debbie Cangi, Consultant, has an exceptional 26 year career in marketing and advertising. Formerly of the Star Ledger as Advertising Account Executive, she specialized in servicing the print and internet advertising needs of the New Jersey real estate community. She has worked with new home builders, marketing directors, property managers, commercial and industrial real estate developers and brokers as a dedicated and trusted marketing team member. Representing NJ.com, the state's largest website, she offered digital advertising opportunities including impression campaigns, search marketing, behavioral targeting and interactive programs. She has always been passionate about working within the real estate community and has been especially creative in helping clients achieve sales goals during challenging times. Ms. Cangi is a member of the N.J. Builders Association, Shore Builders Association of Central Jersey, Community Builders Association, and ICREW (Industrial & Commercial Executive Women). She is a NJ licensed real estate salesperson. She was honored with the Individual Outstanding Achievement Award by the Shore Builders Association of Central Jersey, 2007. Ms. Cangi graduated from Montclair State University with a Bachelor of Science Degree in Business Administration, concentration in marketing. Joseph Bodnar is a member of the New Jersey State Society of Auctioneers, a member of the National Auctioneers Association, and a member of the Train Collector's Association. Mr. Bodnar has his designation as a General Personal Property Appraiser (GPPA). He completed the required courses and received this designation in 2004. Mr. Bodnar was voted the 1999 Bid Calling Champion by the NJSSA, received the 1999-2000 Best Advertising Award and received the Thomas Barton Post Historic Preservation Award for donating his services at the last 13 Annual Metlar-Bodine House Benefit Auctions. Mr. Bodnar is also a Graduate Personal Property Apporaiser (GPPA). Dwayne Craig has been an auctioneer since 1982, and a licensed sales associate in the states of Arkansas and Oklahoma since 1984. He holds auctioneer licenses in Arkansas, South Carolina, North Carolina, Pennsylvania, Virginia, Texas, Florida and Ohio. He is the Instructor of Auctioneering at Missouri Auction School. Since 1989, Mr. Craig has been a commissioner with the Arkansas Auctioneer Licensing Board, where he has served as chairman and co-chairman. He is a member of the National Auctioneers Association and the Arkansas Auctioneers Association. Mr. Craig has also held heavy equipment auctions in Ireland, Northern Ireland, Mexico and the Philippines as well as throughout the US since 1990. Fred Daniel, director of business development, has been active in the farm and real estate auction business for over 40 years. During that period, he has managed and conducted over 800 cattle/farm equipment/farm land auctions throughout the Northeast. His clientele includes private individuals, the IRS, county governments and banks. Mr. Daniel also has a land consulting business advising both farmers and government entities on farmland preservation. Mr. Daniel is a graduate of the prestigious Missouri Auction School. A lifetime resident of New Jersey, he is renowned for his tremendous ability to bring buyers and seller together. Wilbur Hahn has a long and distinguished career in auctioneering. He is a former national president of the National Auctioneers Association and was recently inducted into the National Auctioneers Association's Auctioneer Hall of Fame. Formerly a professor of English at Lehigh University, Mr. Hahn began his auction career more than 30 years ago and is considered a national expert in the accelerated marketing industry. Erin Doherty Ward, CAI, BAS, is a third generation auctioneer from New York. She has been in the auction business her entire life with both her mother, Jill Doherty, 2002 IAC, and grandfather, Jack Doherty. Ms. Ward attended the World Wide Auction School (Mason City, Iowa) and chose to pursue a career focused on benefit auctions. She is in the charter class to receive her Benefit Auction Specialist degree. Ms. Ward is also a recent graduate of the Certified Auctioneers Institute (CAI), the most highly respected education designation in the auction industry. Fewer than 5% of auctioneers nationwide have achieved CAI status. Ms. Ward received her bachelor's degree in women's studies with a focus in art history from the State University of New York, Purchase. J. David Villabona is an experienced broker, investor and auctioneer with more than 30 years experience in the real estate business. He specializes in residential, commercial, and land/farm properties both as a Realtor and auctioneer. Mr. Villabona owns and manages a diversified portfolio of rental properties, including a mobile home park and commercial real estate. He has many years of experience in marketing and selling new home neighborhoods for builder/developers. He has worked as a sales manager for major builders in Delaware and received numerous sales awards through the National Association of Home Builders. Mr. Villabona is a Certified Auctioneer Institute (CAI) and Certified Estate Specialist (CES) through the National Auctioneers Association. He also has earned the Graduate Realtor Institute (GRI) designation through the National Association of Realtors. He is a graduate of Mendenhall School of Auctioneering in High Point, North Carolina. He is a graduate of the University of Delaware. He is an auctioneer as well as a licensed real estate broker in Delaware, Maryland, and Virginia. 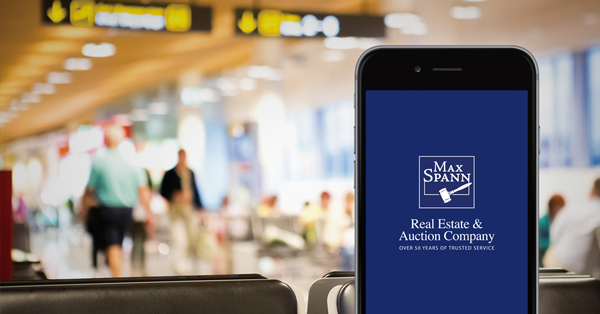 Stay up to date on our auction schedule and news, or bid from anywhere. Download our app to your smartphone today. Works for both Apple and Android.